Baby Sabrina Aisenberg of Florida vanished in 1997. At right is a photo created to show what she might look like today. (CNN) -- Whatever happened to baby Sabrina? After vanishing from her home in 1997, Sabrina Aisenberg's whereabouts remain a mystery. Parents Marlene Aisenberg, 47, and Steve Aisenberg, 46, continue to believe their daughter, who would be 12 now, was kidnapped and is being raised by another family. "We just can't shake the feeling that Sabrina is alive," Steve Aisenberg said. " We think that whoever took our daughter did so because they desperately wanted a child of their own. But we want her back. She belongs with us." Some believe the Aisenbergs were involved in their baby's disappearance. In 1999, federal prosecutors in Florida filed charges against Marlene and Steve Aisenberg for conspiracy and false statements. The Hillsborough County Sheriff's Office conducted wire-tappings and recorded conversations in the Aisenbergs' bedroom and kitchen, according to the Aisenbergs. But in 2001, a federal judge accused the detectives of lying about their case against the Aisenbergs. The judge ordered some of the evidence collected from the bugs to be thrown out. The charges against the Aisenbergs were dismissed in 2001, and prosecutors acknowledged they wrongfully prosecuted the couple. Then in 2008, authorities began to question the couple again when Hillsborough Police in Florida received a tip from a credible jail informant, according to the St. Petersburg Times. The informant said the Aisenbergs had sold their boat to him to dispose of baby Sabrina's body at sea. The Aisenbergs deny the informant's claims and said they've never had a boat. Police said they won't comment about the boat lead. Sabrina disappeared on November 24, 1997, in the small town of Valrico, Florida. The Aisenbergs said they lived in a safe community, so they sometimes left the windows and doors unlocked in the single-story, ranch-style home they shared with their three children -- an 8-year-old son, 4-year-old daughter and 5-month-old Sabrina. Each night, Marlene Aisenberg put Sabrina to bed in her crib. "Sabrina was an easy baby, she always slept through the night after the first month," Steve Aisenberg said. The master bedroom where the Aisenbergs slept was on the opposite side of the home from the children's bedrooms. They said that made it hard to hear small noises from the children's rooms. The couple said they didn't hear anything the night of Sabrina's disappearance. The next morning, Marlene Aisenberg said, when she went to wake the children up for school, she discovered Sabrina missing from her crib along with her yellow blanket. "I heard my wife's screams," recalled Steve Aisenberg. "We searched in the house, and that's when my wife noticed the garage door had been left open and even worse, that the door leading from the garage to the laundry room and into our house was wide open." Steve Aisenberg called 911 while Marlene frantically asked neighbors if they had seen Sabrina. 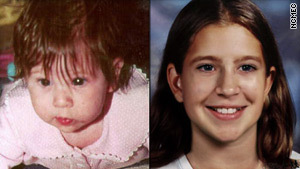 In the next few years, the Aisenbergs and authorities continued to search for Sabrina. They appeared in national media urging the public to help find their child. In 2003, the Aisenbergs say, they filed a civil lawsuit seeking millions of dollars against Hillsborough County Sheriff's Office and federal prosecutors. The suit alleged malicious prosecution. The suit against the federal prosecutors was dropped in 2004 after a judge ruled they could not be sued. The couple says they voluntarily dismissed the suit against the Sheriff's Office. They Aisenbergs say in May 2003 they became hopeful about finding their daughter when an Illinois girl fitting Sabrina's description was found.But a DNA test was performed and revealed she was not their child. Today, police will not comment on whether they have any suspects. "The case of Sabrina Aisenberg is an open and active investigation," said a spokesperson for the Hillsborough County Sheriff's Office. Officials would not comment on details of the investigation. The Aisenbergs have created age progression photos showing what Sabrina might look like today. The family and police ask for the public's help. If anyone has information leading to the whereabouts of Sabrina Aisenberg, please call the tip line at 813-247-8200.